Nitram and his mother, Mrs. Rendrag, did the dishes after dinner. 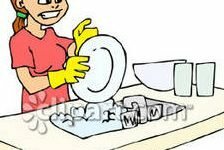 “Now that we’re finished with the dishes,” Mrs. Rendrag said, “let’s do the STOP AND SNAP.” These words “stop” and “snap” don’t make sense. 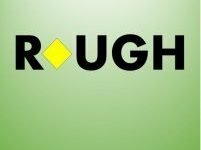 Can you make a simple letter change to figure out what she actually said? Can you do something similar to deduce their real names? Can You Figure out this Entertainment Word Puzzle? 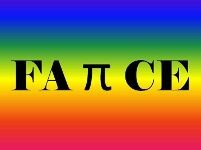 Can you summon your sleuthing skills to deduce what this is saying? Stamp Puzzler: You Won’t Believe This One! I have a problem. 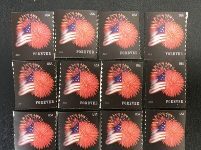 I have 4 rows of 3 stamps, as you see in the picture. However, my stamp album only has room for 3 rows of 4 stamps. Life is challenging at times, isn’t it! Can you make 1 continuous tear along the perforations so theses stamps will fit in the album? Product = Sum? You Must be Kidding! What is the only 2-digit number where the product of its digits equals the sum of its digits? E.g. could it be 37? 3×7=21. 3+7=10. These don’t match, so it’s not 37. What is it then? 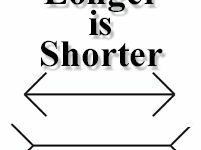 What 5 Letter Word Becomes Shorter When You ADD 2 Letters to It? Is this possible? Or have we lost our marbles? 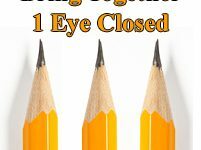 Can You Bring 2 Pencil Points Together with One Eye Closed? Hold a pencil in each hand. Close 1 eye. Can you bring the pencil points together so they touch? 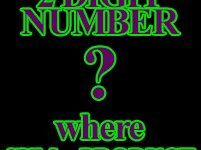 What is the largest number that can be made with 2 digits? This one is trickier than you think! Bet I Can Tell the Card You Cut To! Set the deck of cards on the table. The spectator can cut the deck anyplace he’d like. 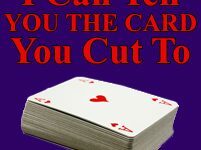 Without touching the cards, you’ll be able to tell what card he cut to! Is this possible, or is it a bunch of huey? 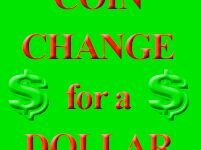 Can You Make Change for $1–in 10 Different Ways? Can you make 1 coin equal $1? Can you make 2 coins equal $1? 3 coins? 4? Etc. up to 10 coins equaling $1?